Summary: Teva’s life seems normal: school, friends, boyfriend. But at home she hides an impossible secret. Eleven other Tevas. Well initial thoughts when reading the blurb was that this story could be very interesting or just really weird. The idea of splitting into multiple versions of yourself on your birthday is an intriguing concept and I wanted to know how Kathryn Evans would pull it off. I do not know what I expected but it was definitely not this. It was very strange but it kept me interested to find out what would happen to Teva in the end so it made me read until the end. The story lays out Teva’s condition from the start but does not explain until the end why it happens. The explanation of this condition is very well done but I still did not enjoy the book as much as I thought I would. I found 16 year old Teva to be very irritating. She was on edge the entire book, never happy and content until the fashion show and then the new Teva takes over before she even gets to perform leaving the old Teva. I understand she was on edge because she did not want to lose her life but even then she does not get any happy ending of her own, it just ends and tells us about how happy everyone else is now which just leaves you with more questions. Don’t get me wrong it is not a bad book but the main character is not the most likeable person. But the storyline with the condition and the family aspects are really quite smart. 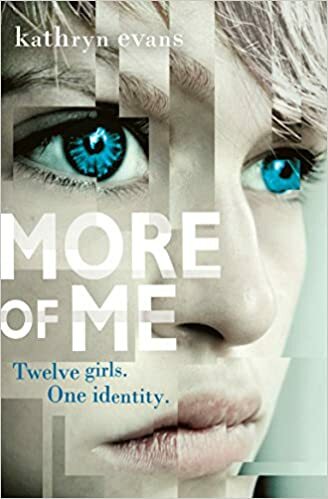 Overall: I would recommend this book but I would also caution that it is tough sticking with the main character and is difficult to relate to her. The storyline itself is enjoyable enough and I will be on the lookout for more Kathryn Evans books in future.